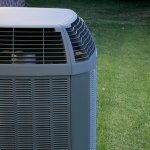 Home » Cooling » Beat the Heat: Get Your Air Conditioner Ready for Summer! Beat the Heat: Get Your Air Conditioner Ready for Summer! Each season brings with it a new set of concerns for your HVAC system. No need for you to be concerned, however, because with these simple solutions for summer air conditioning care from Service Champions, your air conditioner will be set for summer. “Beat the heat.” It’s a popular saying for a reason. 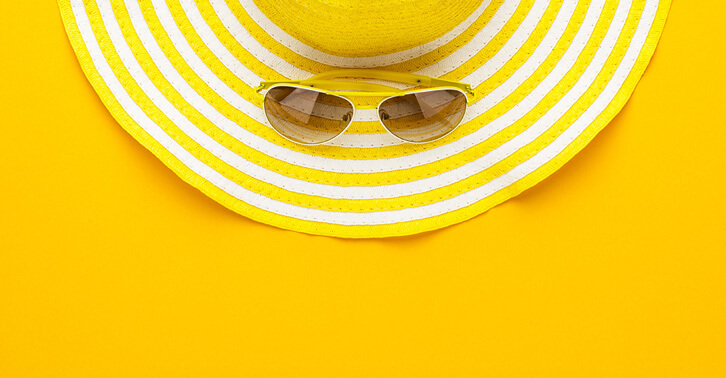 During the summer, people feel like they are in a battle with the heat and need to conquer it in order to maintain comfort and healthy living conditions. But it’s near impossible to combat the summer sun without a strong defense system. Do you know what shape your air conditioner is in? Once your air conditioner has received its summer-ready maintenance makeover, the heat will be no match for the efficiency and performance of your home’s HVAC system. 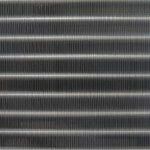 A clean filter might be the simplest, yet most important thing you can do as a homeowner to care for your HVAC system. 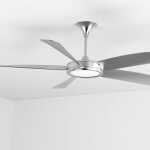 Over time, dust and debris build up, causing the airflow to slow down. If the filter is clogged, the system has to work harder. And harder work means higher bills. During high-use seasons, such as summer, you may need to change your air conditioning filter monthly. Some filters can last 3 to 6 months, based on several factors including the type of filter that works best for your system as well as how much you use the system. We highly recommend checking your air filter every 30 days and waiting no longer than 60 days to clean or replace it. Learn how to select the right air filter. That’s not just air — that’s money leaking out your ducts! Any cracks or leaks in your air ducts is costing you a pretty penny. When your ducts are well-sealed, you get to enjoy 100% of your conditioned air, not the 75% or so you get from leaky air ducts. If you suspect that there is a crack or leak in your air ducts, contact a professional air duct specialist at Service Champions. We offer air duct sealing and insulation services — a great investment before summer. With how much we depend on our air conditioners in the summer, now is the time to follow through on home maintenance tasks such as checking up on the condition of your air ducts. The summer will be a breeze when there is no longer a breeze coming from leaks in your air ducts! It’s only natural that over time there would be plant growth, trash, or other types of debris to build up around the outdoor condenser unit. First, turn power to the HVAC system off. Then, head out back or to the side of the home where the unit is located and inspect it. Do you see any plants you need to cut back or items you could throw out or move away from the unit? Your outdoor condenser unit needs proper airflow in order to function properly. Leave a clearing of at least three feet around the unit for safety and efficiency. This simple task will make your air conditioner more effective and cheaper to operate. Use your garden hose to periodically clean your condenser coils, especially before summer. Since the condenser unit is outdoors, it’s exposed to the elements, and there’s a potential for a lot of grass, dirt, soil, and debris to collect on the unit. It’s necessary to check it every month or so and especially at the beginning of any new seasonal change. At the beginning of the cooling season for instance. With a little know how, you could wash it off yourself with a garden hose on a gentle setting as to not damage the fins with a strong blast of water. Make sure you turn the unit off first! If you notice any bent condenser fins, do NOT attempt to straighten them with with any kind of crude object, such as a butter knife or screwdriver. Instead, contact a professional if you notice any damage to the unit. IMPORTANT: When you are doing a cleaning of the outdoor condenser unit, make sure the unit is turned off at the breaker box. Do not attempt to use water for the purposes of cleaning your condenser coils when the unit is on. If any of this sounds daunting, Service Champions is just a call away. Our skilled team of technicians will have the condenser coils and the entire unit cleaned and tuned-up in no time. Today’s thermostat models are sleek and smart. If you’ve been considering a thermostat upgrade from a manual or analog model to a programmable or smart thermostat, schedule the installation before summer really kicks in. Regardless, get your thermostat ready for summer by re-programming it to the new spring/summer season. How to set your thermostat during the summer: For each degree you can comfortably raise the thermostat, you save 3% to 5% on your monthly air conditioning bill (U.S. DOE). Keeping your thermostat around 78-degrees will reduce your cooling bill and still be comfortable. While you are away from home, set it four degrees higher than your normal. If you keep the house at 75 degrees, set it to 79 while away. Warning: Do NOT turn your thermostat/air conditioner off when leaving on vacation or for an extended period of time. Do not set your thermostat higher than 84 degrees. The heat and humidity can damage your home and possessions in the form of mold, warped wood, and pest problems. Summer is the busiest time of the year for air conditioning companies. Not only is it uncomfortable, but in some situations, dangerous, to be without an air conditioner. Take the time while it’s still spring to call up your local HVAC company and schedule a maintenance appointment. Summer is a time to spend relaxing with family, enjoying the time you have together. You don’t want to spend the summer in miserable heat trying to get a hold of an available HVAC technician. Utilize our summer-ready air conditioning tips to ensure a cool and comfortable season. Thankfully, if you need a technician, even on the hottest of summer days, Service Champions has a team of dedicated and talented technicians, Same-Day and Emergency HVAC services available.